Professor Ghoniem is the Ronald C. Crane ('72) professor of Mechanical Engineering and the director of the Center for 21st Century Energy at MIT. He holds B. S. (1973) and M. S. (1975) degrees in Mechanical Engineering from Cairo University in Egypt and a Ph. D. degree from the University of California, Berkeley (1980). He served as a research scientist at Lawrence Berkeley Laboratory from 1980-83. Since 1983 he has been at MIT where he established the Reacting Gas Dynamics Laboratory and has supervised a number of M.S. & Ph.D. students, post-docs and research scientists. He is a fellow of the American Society of Mechanical Engineers and associate fellow of the American Institute of Aeronautics and Astronautics. His research interest lie in the areas of high performance computing in turbulent reactive flow, computational mathematics, combustion dynamics and active control, modeling and simulation of transport-chemistry interactions in thermochemical and electrochemical systems including high temperature fuel cells, gasification processes and fuel production and analysis of high-performance, zero-emission integrated energy systems with CO2 capture. 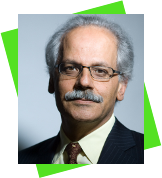 Professor Alberto Gómez Barea is a professor in Chemical, Energy and Environmental Engineering at University of Seville (US) since 2016. He has lectured Transport Phenomena, Chemical Reactors, and Modelling and Process Simulation at the US, and solid fuel conversion and fluid dynamics of fluidized beds as visiting lecturer and researcher worldwide. His research activity comprises thermochemical conversion of biomass and waste in fluidized beds and synthesis of biofuels. More currently he is involved in hybridization of biomass and solar technologies, including the development of new reactors for solar thermochemical conversion and storage. He is author of 60 papers in SCI (JCR) journals, chapters in books and more than 80 communications in international Conferences (h-Index Scopus 26). He has participated in more than 50 R&D public funded projects and private contracts with companies for the energy, chemical and industrial sector. He belongs to Steering Committee in reputed International conferences such as Fluidized Bed Conversion, Fluidized Bed Technology, and Engineering for Waste and Biomass Valorization. 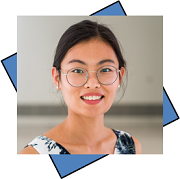 Yadira joined MIT in September 2018. She received her BS from the University of Massachusetts at Amherst and was a Master’s candidate in Mindfulness Studies at Lesley University. 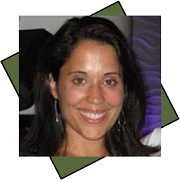 Prior to joining MIT, Yadira worked at the David Rockefeller Center for Latin American Studies at Harvard University for fourteen years in student programming and services. She worked closely with the Center’s Cuban Studies Program and Puerto Rico Winter Institute where she traveled with students and organized programmatic activities. In addition, she oversaw the Center’s Certificate in Latin American Studies, Graduate Student Associates and various grants, thesis prizes and fellowships. In her spare time Yadira loves to travel and manages a joint blog she has with her twin sister. Her goal is to visit all 50 states and each continent. She is trilingual English/Spanish/Spanglish. 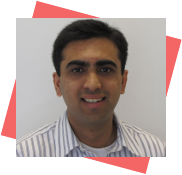 Santosh does research in the areas of Efficient Energy and Clean & Quiet Propulsion. These lead him into fundamental research in Combustion Dynamics, Turbulent Combustion, Experimental Fluid Mechanics, Flow Diagnostics and Aeroacoustics. At MIT, he is presently working on understanding and control of combustion instabilities in swirl and backward step combustors that burn carbon-monoxide/hydrogen/propane blends. He also oversees the design and devlopment of the Oxy-Fuel Combustion Laboratory. Santosh earned his doctoral and masters degrees in Aerospace Engineering from Georgia Institute of Technology, Atlanta. He received his undergraduate degree, also in Aerospace Engineering, from the Indian Insitute of Technology, Madras, in India. 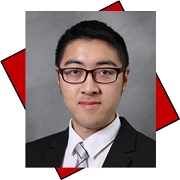 George is investigating the co-production of hydrogen, synthesis gas and ethylene through water-splitting, methane partial oxidation and ethane dehydrogenation, respectively, facilitated by the use of mixed ionic and electronic conducting perovskite materials. He conducts experiments to quantify the performance of materials and then uses the measurements to extract fundamental information about the material operation by developing state of the art electrochemical and thermochemical models. 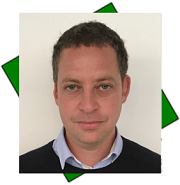 His numerical work includes the development of detailed surface reaction and material diffusion models as well as their coupling with Computational Fluid Dynamics (CFD) algorithms towards the design of high-performance membrane reactors. George joined the RGD laboratory in September 2012 as a graduate student. 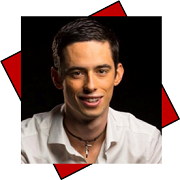 In January 2017, he obtained his Ph.D. in Mechanical Engineering and Computation from the Massachusetts Institute of Technology and since then he is working in the group as a Postdoctoral Associate. He also holds B.S. and M.S. degrees in Mechanical Engineering from the National Technical University of Athens (2012). 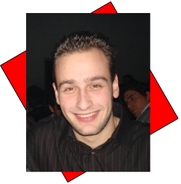 He has also worked as a researcher at the Parallel CFD & Optimization Unit (PCOpt) of NTUA for one year (2011-2012), while he was a member of this group for more than four years (2008-2012). Yuval is working on high performance computing and CFD simulations of reactive systems including the development of large eddy and direct simulation methods for coupling multi-resolutions methods and detailed kinetics, with application to advanced combustion processes including oxy-combustion and catalytic combustion for clean energy systems. Yuval is also conducting detailed analytical and numerical studies of combustion dynamics in liquid fuel systems with focus on the interplay between stability, emissions characteristics and environmental impact. Yuval joined the RGD laboratory in March, 2017. In June, 2016 he obtained his PhD in Aerospace Engineering from the Technion, Israel Institute of Technology. He also holds B.Sc. degrees in Mechanical and Aerospace Engineering from the Technion (2007), and a M.Sc. Degree from the faculty of Aerospace Engineering (2013). Yuval also worked as a researcher at a computational aerodynamics department for ten years in the Aerospace industry in Israel. Xiaoyu is working on ion transport membrane technologies for hydrogen production and carbon dioxide reuse. His work includes experimental studies on heterogeneous reaction kinetics and inorganic material characterization. Besides, system analysis and reactor design will be also studied. 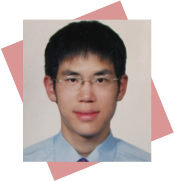 Before studying at MIT, Xiaoyu did his undergraduate and master studies in Department of Energy Engineering at Zhejiang University, China, and worked on falling film evaporation and nanofluid fuels. He won the Chu Ko-Chen Scholarship in his undergraduate studies. 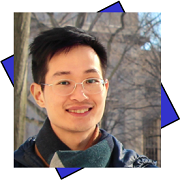 In 2012, Xiaoyu joined the RGD Lab at MIT, and received the Chiang Chen Overseas PhD Fellowship in the academic year 2012-2013. In summer 2015, he is the MISTI-MITEI fellow. Kevin Kung is working on a multi-scale analysis of the thermochemical treatment of biomass as a potential waste management solution in the context of India. Kevin received his A.B. in Physics from Princeton University, M.Phil. in Physics from University of Cambridge, and S.M. in Biological Engineering from MIT. He founded a profitable biomass waste management project in Kenya called Takachar. Sonal joined the group in November 2018 and is working on decentralized biomass torrefaction system to produce biochar for agricultural applications. The work involves designing and testing the torrefaction reactor for different operating conditions for different feedstock, and setting up a control system for the reactor. He has recently finished working on developing low cost biomass gasification based power generation system in which engine would serve as a tar clean-up device. Earlier, Sonal was a Post Doctoral Fellow at Tata Centre for Technology and Design, IIT Bombay, for 2 years working on biomass gasification and pyrolysis with major focus on utilizing garden waste and agro residue for thermal applications such as community level cooking. 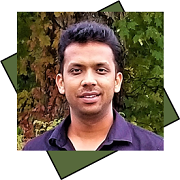 Sonal has obtained his Ph.D. from IITB-Monash Research Academy working on a project funded by Orica Mining Services, Australia in the field of ammonia and nitric acid production using chemical looping. He earned his Master in Chemical Engineering from BITS Pilani, India and Bachelor from LIT Nagpur, India. 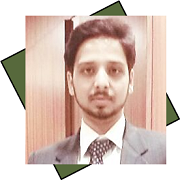 His research interests are waste management, biomass conversion and upgrading, chemical looping, process modeling and thermodynamic analysis. He enjoys music and dance, and is an active sportsperson in the group with special interests in tennis and swimming. Bonjae is working on direct oxidative coupling of methane (OCM) using ion transport membrane (ITM) technologies for C2+ hydrocarbons production facilitated by the use of mixed ionic and electronic conducting perovskite materials. Before studying at MIT, Bonjae did his undergraduate and master studies in Department of Energy Engineering at UNIST, Korea. 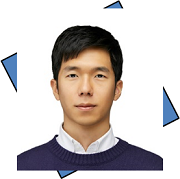 He received his Ph.D. degree in Department of Material Science and Engineering at KAIST, Korea and pursued his postdoctoral research in Applied Science Research Institute at KAIST. He joined the RGD laboratory in March 2019 as a postdoctoral associate. Yudong Chen is working on the advanced hydrogen generation techniques using membrane-supported water splitting technology. Yudong joined the RGD laboratory as a master student in Fall 2017. Prior to that, Yudong received his B.S. Degree in Mechanical Engineering from Purdue University and Shanghai Jiao Tong University (2+2 joint program). Outside of school, Yudong enjoying watching movies and traveling. Aniket joined the RGD lab in Fall 2017 after obtaining his B.Tech degree at the Indian Institute of Technology Bombay. For his Masters’ thesis at MIT, Aniket is investigating the process of crude oil upgrading using supercritical water. His primary approach to this problem is using multiphase CFD simulations which incorporate chemical reactions and mass transfer. He is also interested in studying the behaviors of mixtures using equations of state. 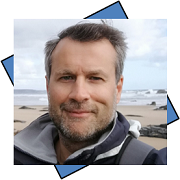 His previous work includes predicting the Joule Thomson inversion curves of cryogen mixtures and the design of linear compressors for cryogenic applications. Felipe is working on using plasma to improve combustion in jet engines and gas turbines through his startup, FGC Plasma Solutions. At RGD, his work focuses on using nanosecond pulsed non-equilibrium plasma discharges to control combustion instabilities. With funding from NASA and the Department of Energy, this project endeavors to develop a novel approach to active combustion control. Felipe has a Bachelors of Science in Aerospace and Mechanical Engineering from Case Western Reserve University (CWRU) in Cleveland, Ohio as well as a Masters of Science in Aerospace Engineering also from Case. Prior to joining the RGD Lab as a visiting scientist, Felipe was an ORISE fellow at Argonne National Laboratory through the Department of Energy’s Lab Embedded Entrepreneurship Program. Felipe was a varsity swimmer for the CWRU Spartans and when he’s not working on combustion, you can usually find him in a pool. Copyright © 2011 RGD Lab. All rights reserved.